For the past few years Baratza have dominated the domestic coffee grinder market and with the recent introduction of the Sette range that offer almost zero grind retention, Baratza offers something for everyone from an affordable entry point grinder for customers wanting to get started on their filter or espresso journey to grinders that weigh your dose for even the fussiest of home barista enthusiasts. The Sette 270Wi retails all of the features of its younger sibling but also offers up the holy grail of espresso prep – grinding by weight, directly into the portafilter! The “i” stands for intelligence and with an upgraded and intelligent control board from it’s 270W predecessor, it’s the next generation from Baratza. The new intelligent control board has the ability to learn and adjust as you use it and can filter unpredicted vibrations that may affect dosing accuracy. Designed and perfected in Liechtenstein over a period of 8 years, the Sette range boasts completely new grinder technology that sets a the standard for simplicity, efficiency, and durability. This new mechanism has the outer burr rotate and the inner burr is fixed, a truly revolutionary design. The design of this mechanism doubles the efficiency of similarly sized grinders. 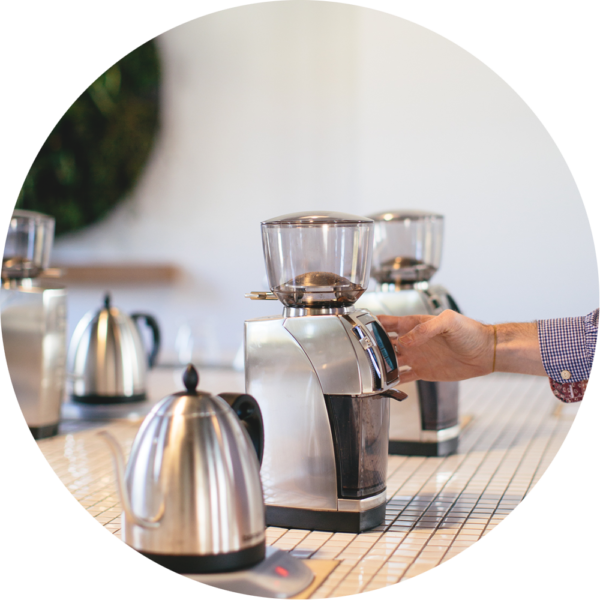 Coffee passes straight through the grinder, vertically, and drops directly into your portafilter or grounds bin. 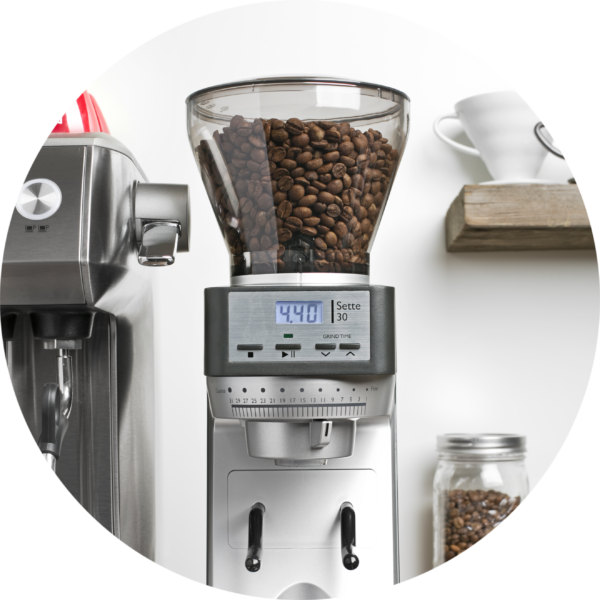 The Sette 270 is also packed with grinder essentials; a macro/micro grind size adjustment, 3 programmable settings for dosing and a built-in convertible holder so you can grind hands-free. The new Sette 30 AP Grinder is an affordable entry point grinder for customers wanting to get started on their espresso journey. The Sette 30 incorporates the same shape and design as the 270/270W models, including All Purpose (AP) burrs. With a 30 step macro grind size adjustment, the Sette 30 allows the user to manually preset the grind time to within 0.1 seconds. 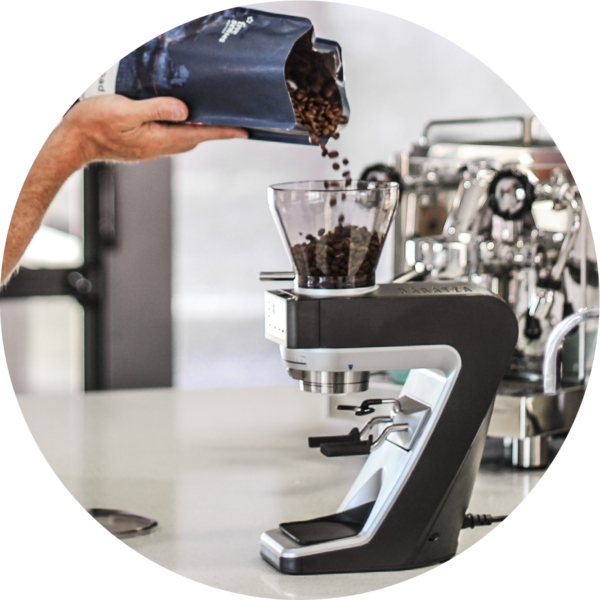 Simply press the start button and the Sette automatically delivers precise dosing.and a built-in convertible holder so you can grind hands-free. The Baratza Forte is the ultimate Baratza grinder. Using flat burrs, the Forte produces an incredibly accurate grind. Genuinely innovative, its ground-breaking, in-built ‘grind by weight’ feature is the first of its kind. The Forte features metal construction, a small, lightweight footprint, an intuitive control panel and solid macro/micro adjustment. 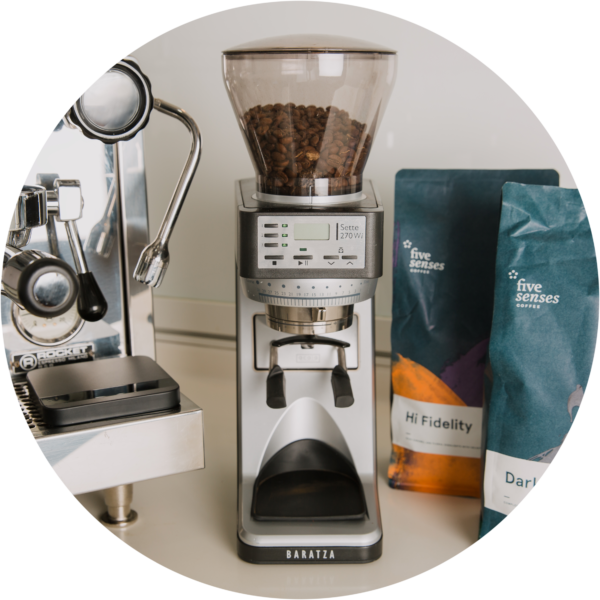 This machine is the most adaptable, multi-purpose grinder on the market and will suit any espresso and manual brew needs you have for your home. In addition to its all-purpose ceramic burrs, all Baratza Forte grinders sold in Australia will come with a set of steel burrs (which are specifically designed for filter coffee grinding) and a portaholder. 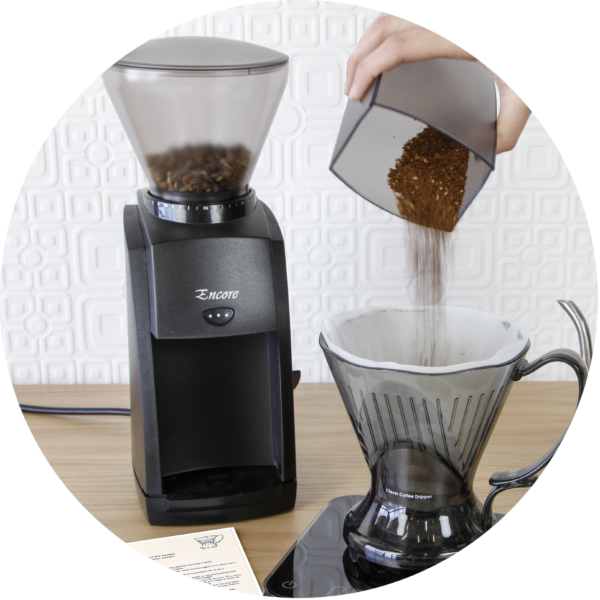 An elegantly conceived, conical burr grinder designed for manual brewing. At least double the weight of most domestic grinders, the Encore has a rock-solid feel and dramatically increased stability. Its forty grind settings are ideal for all slow brew methods such as filter, syphon, plunger and percolator. Additional features include a large 225g bean hopper and a 140g removable anti-static ground coffee bin.